When I went to watch this film I didn’t know what to expect. After hearing all the hype I thought it might be a let down and I wasn’t really a big fan of the series ie. a serious Trekkie as opposed to a casual viewer. I was pleasantly surprised that the film was much better than I thought, hence I’m writing about it now. A little like a soap opera in space but a lot more entertaining. There’s something in there for everyone, dealing with choices, family, love, responsibility, death… whoever watches it will connect with one of the characters. There could have been more female’s in it (for the ladies and not just for me…lol…) but it doesn’t detract from the film that will have you on the edge of your seat till the end. The twist I really liked (not a spoiler) was about the time travel. 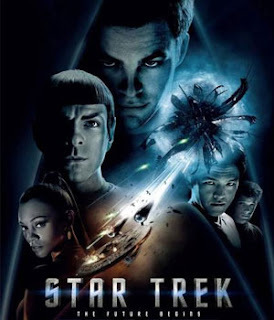 How this film goes back to the beginning of the life of the starship Enterprise and her crew. They are just a bunch of young cadets not knowing their purpose in life and just training to join Starfleet Academy. It’s about how the team of James T. Kirk, Spock, Bones, Uhura, Scott, Sulu and Chekov, come together and meet for the first time. Unlike us, the viewers, who know about some of the many adventures they have taken together in TV series, films, books, comics over the last 40 years in our real world (airing since 1965 and 10 previous movies to date) – the characters in the film are unaware of what the future may hold. When you watch these cadet’s graduate and know they will go on to have amazing journeys and do great things together it almost gives you goose pimples, that we know how important each one of them is in the grand scheme of things in the Star Trek universe. This is an entertaining film and you should go see it whilst it’s still on at the cinema. Whatever it is you expect from it, you will leave with something completely different like I did. Take a moment right now to think about those people in your life, right now, who are a part of your journey and going to make history with you. They are already here… It might seem like just an idea right now, but when you look back from the future that you’ve created, they are the friends that matter and these are the days that count. This is where all great things start and relationships are forged. Some people you may have met yesterday – the others today, someone may turn up tomorrow. You will find them at the strangest of places or in everyday scenarios – like at barbecues, in the bar, sleeping on your couch or at the same event. They stand out from the crowd and you can’t explain why. They are the ones who provide the energy and words you need to take the next step. 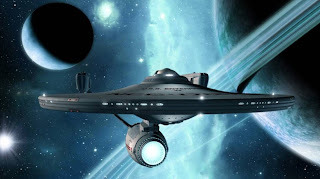 You will know who will be with you on your journey, as destiny will make sure they keep turning up until you invite them aboard your starship or get aboard theirs. They might join your journey or just give directions on which way to go and how to make it happen. Stay aware as they are already here to help you. As a Captain, the right Enterprise is being built right now. The Commanders, Officers and crew are being attracted to take off with the right ship – yours. Dare you be great and part of the Federation? Ready to enlist in the Academy and serve when your crew, team, family and friends need you? See you in the future… Live Long and Prosper.